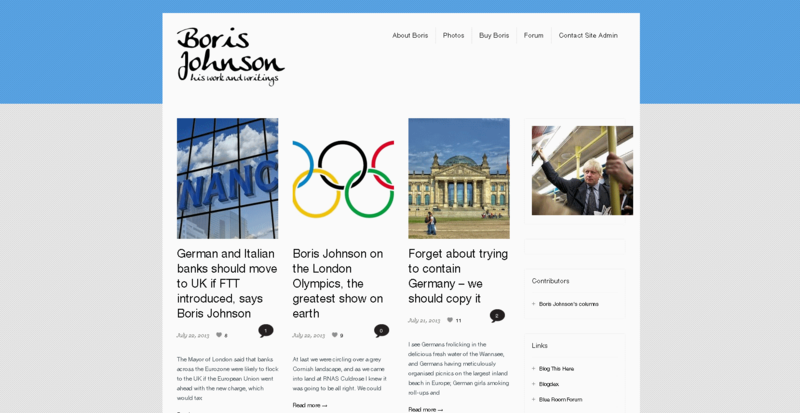 Boris’s team wanted a revamp of their front-end site, together with an overhaul of their administration interface. There was also an integrated forum to build and convert. The site attracts up to 10,000 people a day looking at his latest articles, political and Mayoral news, so the design is now well-tested.